The Rare Pepe Foundation is proud to announce their partnership with FoldingCoin, providing a total of 3,400,000 free PEPECASH tokens donated by some prominent Rare Pepe project supporters towards the FoldingCoin Merged Folding Platform to assist in the computational development of vital medicines for diseases like Parkinsons, Alzheimer, Diabetes and cancer. 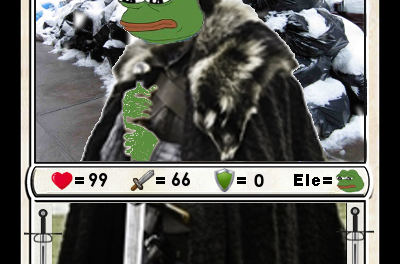 The Rare Pepe Foundation has built a brand new trading card platform (a future game is already under development also with a deck-building beta and is currently being crowd-funded), based on the popular Pepe Meme. 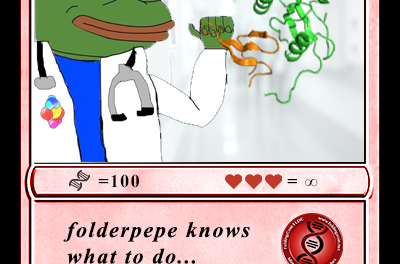 More than 100 limited edition Rare Pepe cards are already certified for their authenticity and can be viewed on the Rare Pepe Directory. 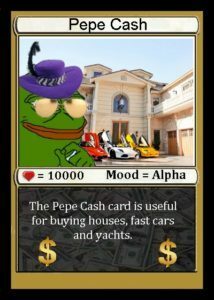 PEPECASH is a divisible token. Only 701,284,008 total of this locked token are in circulation as of today. 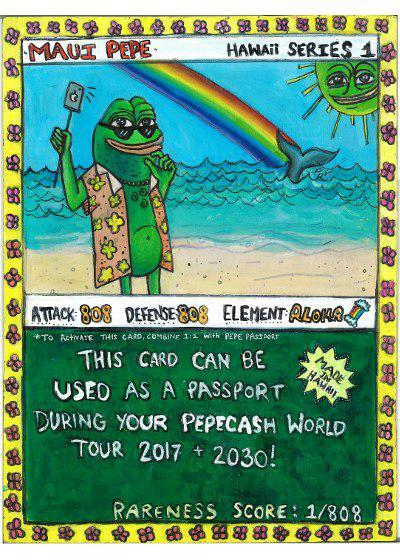 You can use PEPECASH to pay for the certification and listing of newly issued Rare Pepe cards. As Counterparty assets, these cards are freely tradeable on the Counterparty DEX, on the Book of Orbs app (search for “Indiesquare” on the App Store or Google Play), as well as on https://btcpaymarket.com/#. Rare Pepe collectors can also keep their cards and PEPECASH in the special Rare Pepe Wallet which they can access with the same passphrase as used in Counterwallet and see which Rare Pepes they own and which they are still missing in their collection, as well as trade them for XCP. 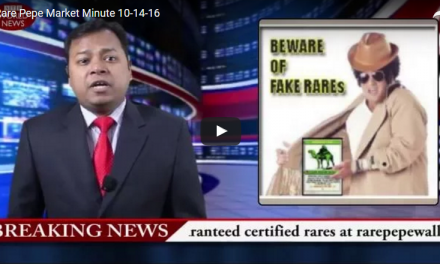 Read more about Rare Pepe and PEPECASH HERE and watch the latest Rare Pepe Market Minute HERE. Stay tuned for more exciting news from Foldingcoin coming up soon! Monthly Public Meetings are held at the beginning of each month – you can watch the videos of previous meetings here. Update on folding for PEPECASH. After discussion with @heunland, I’d like to endorse Helene’s suggestion, that we encourage all new folders to join the @Foldingcoin team and become long time folders. Stick around and continue to contribute, not just fold while you earn the PEPECASH. As of now you will also earn MAGICFLDC (a Spells of Genesis game asset) and of course FLDC. Any client program can contribute to the statistics for this team by putting the @Foldingcoin team number 226728 in the team field in the client.